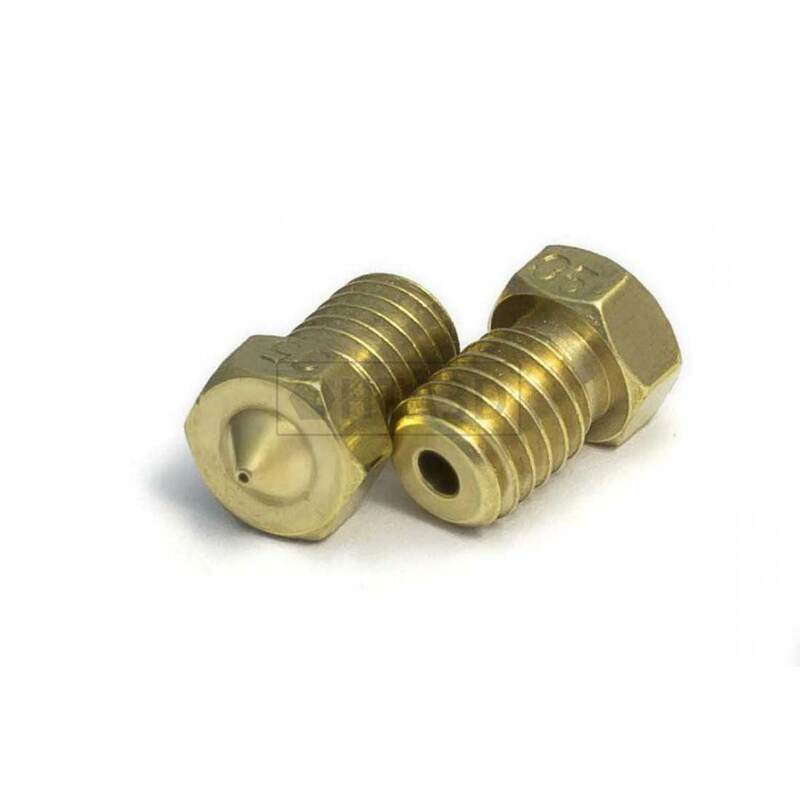 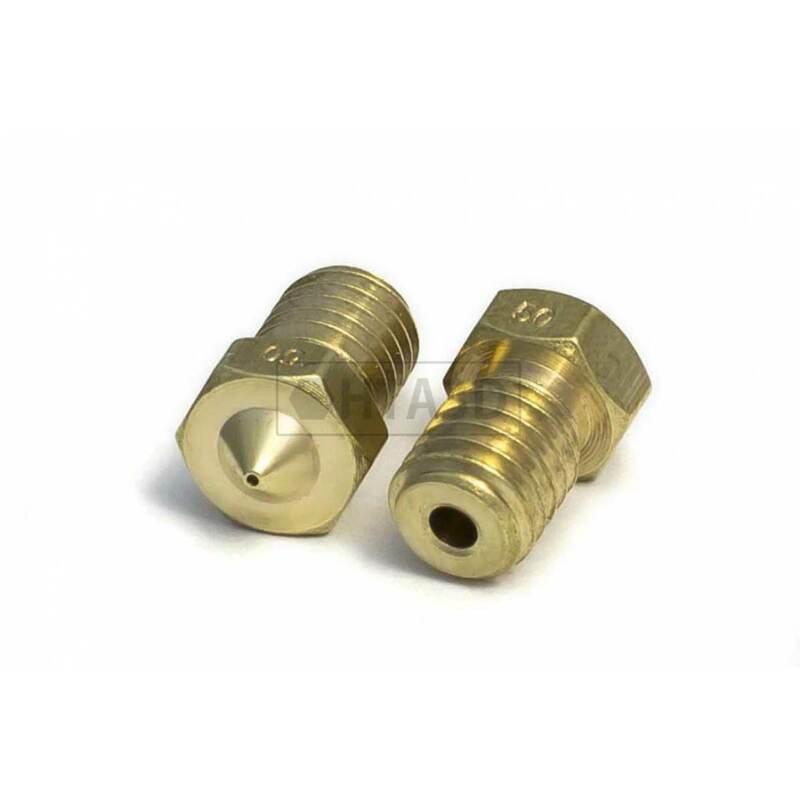 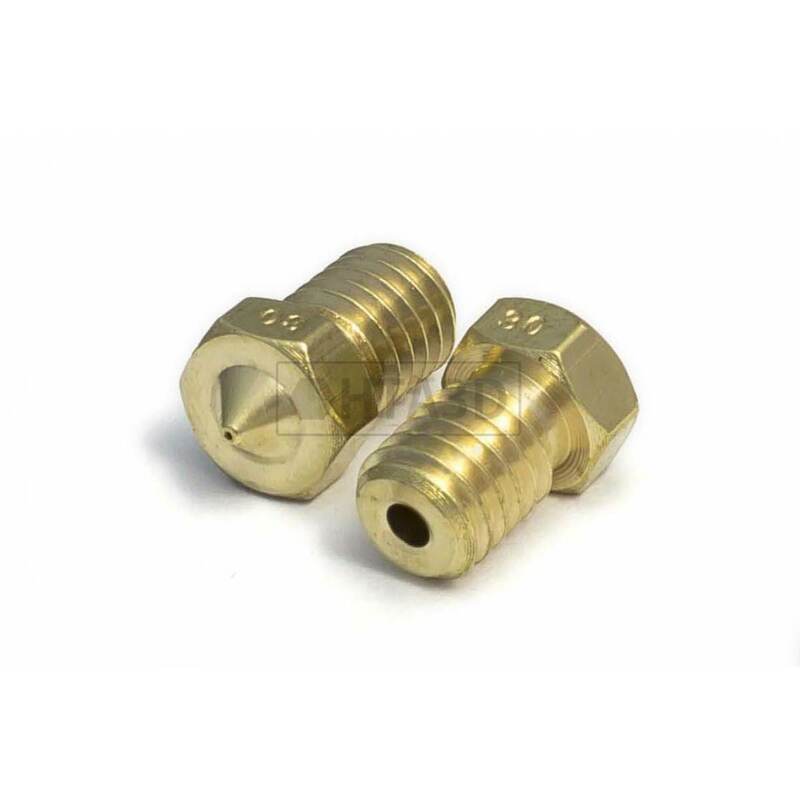 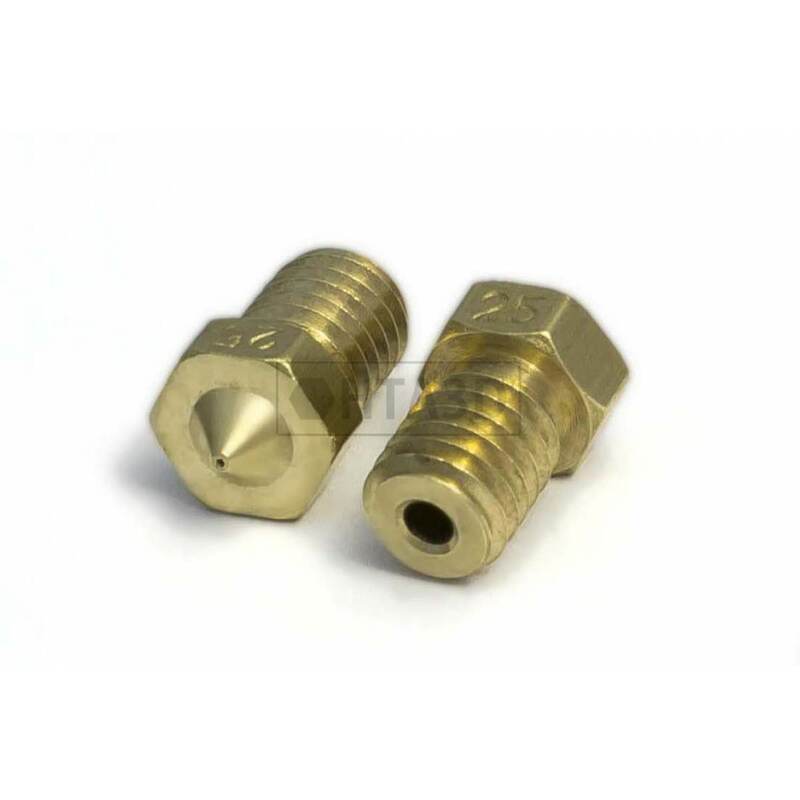 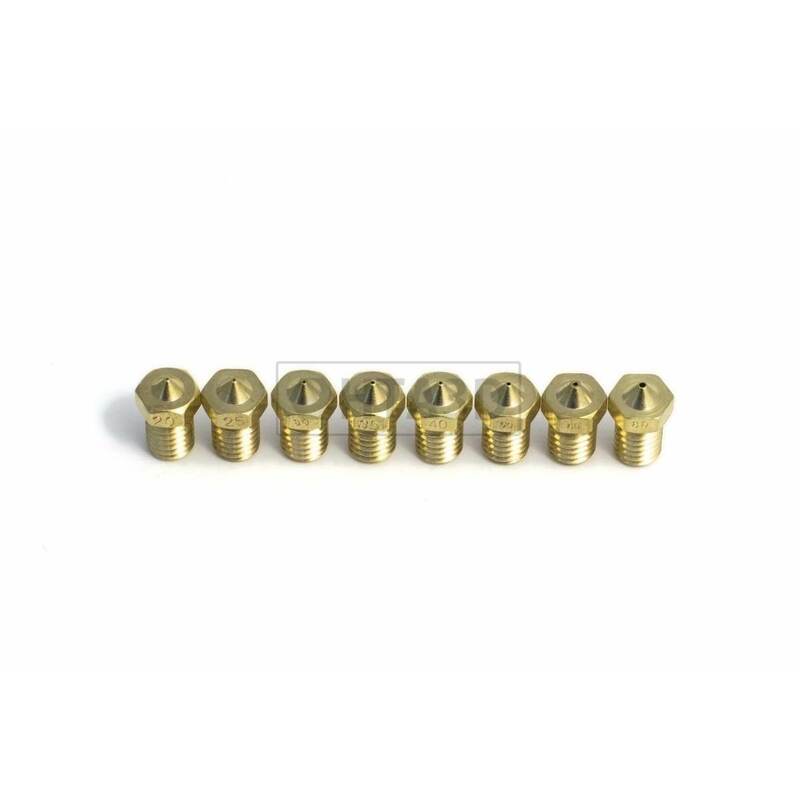 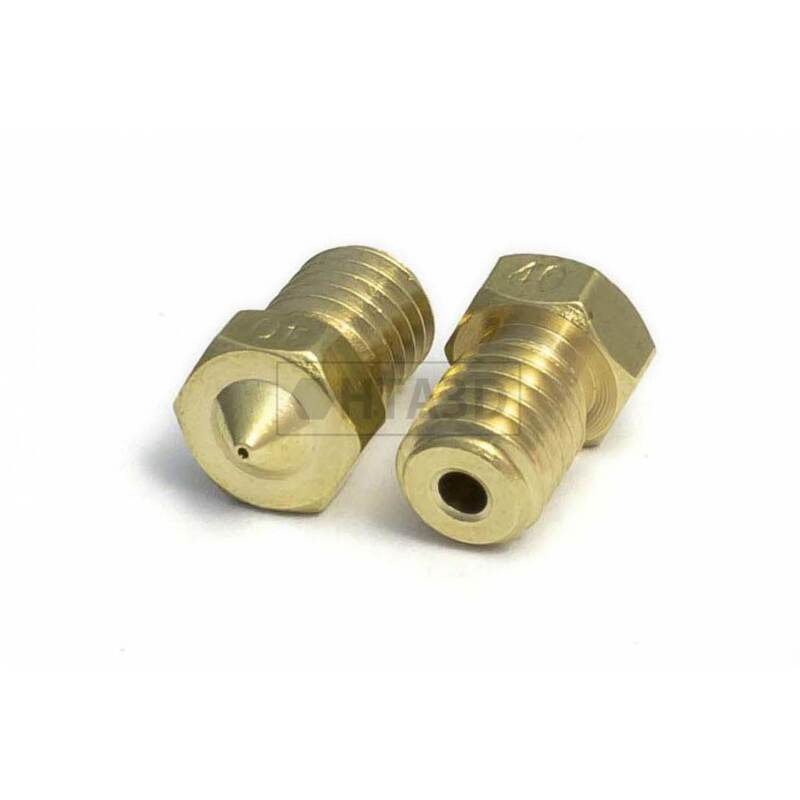 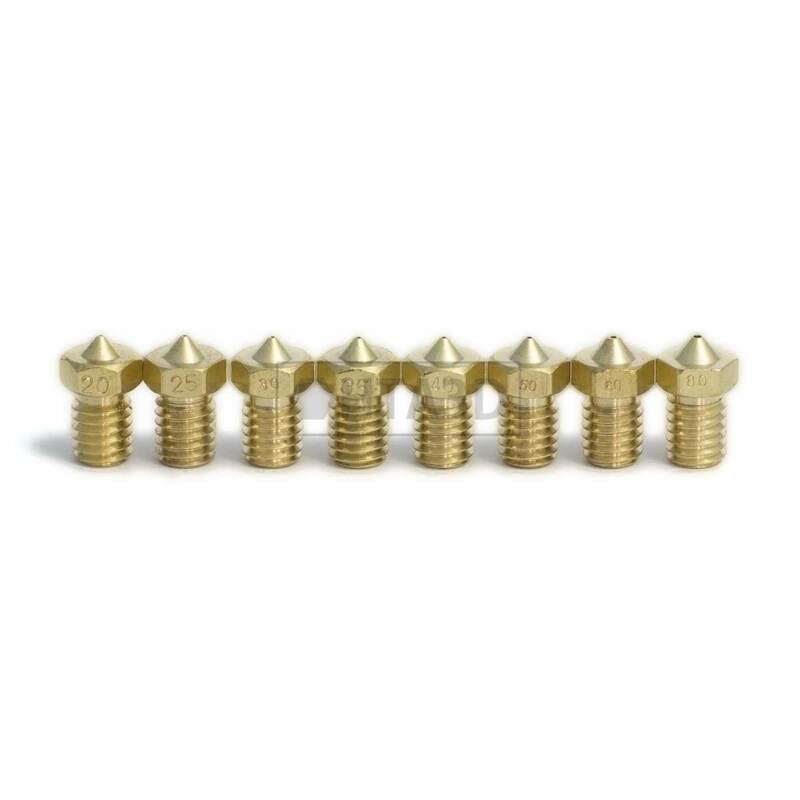 These nozzles perform the function of extrusion of melted plastic in 3D printing process. 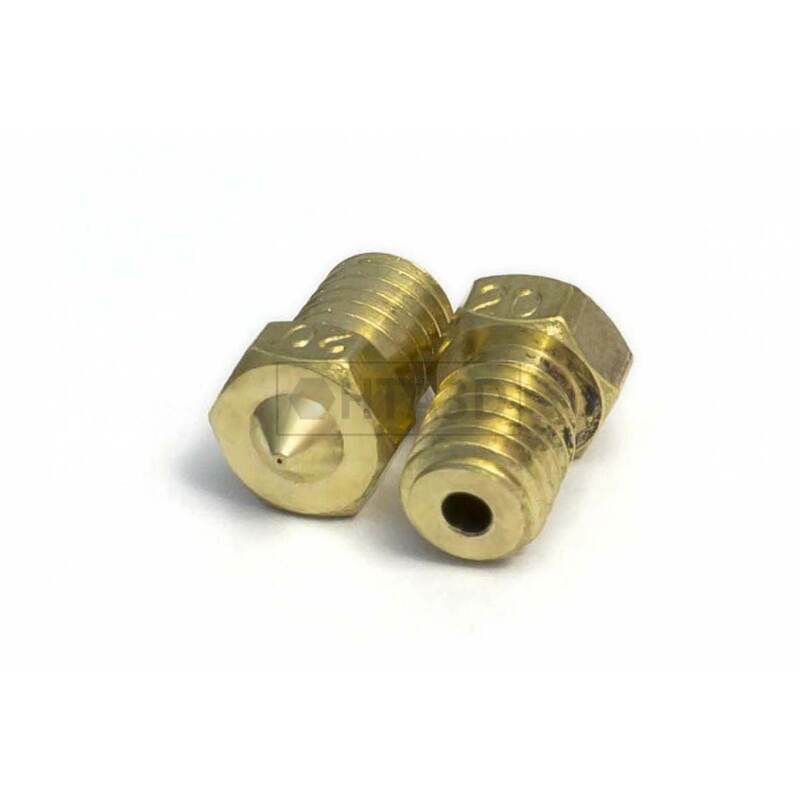 They are compatible with our hotends and popular V5, V6 and its variations. 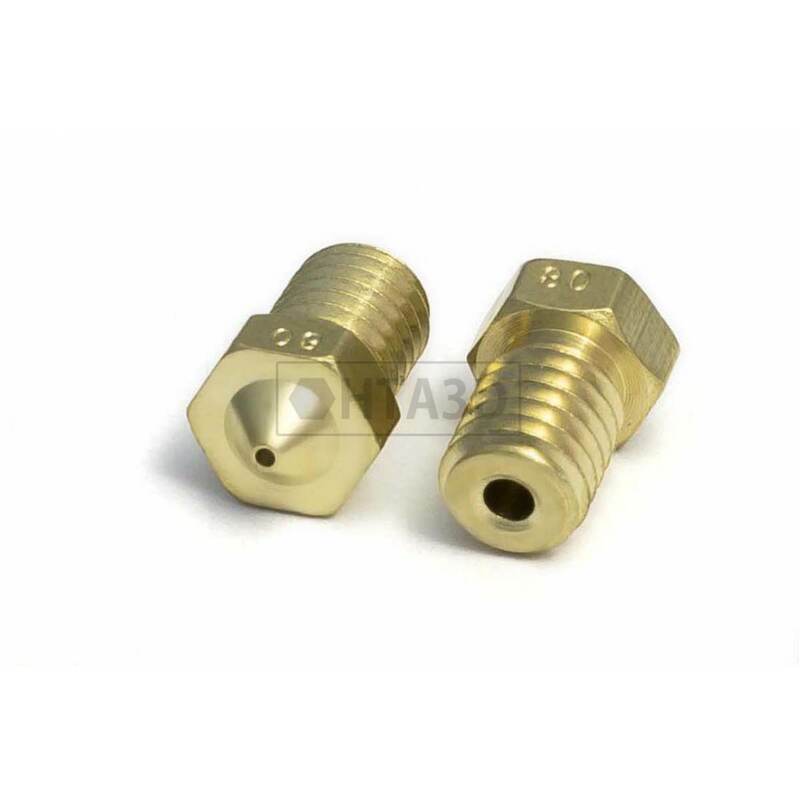 The area of contact with the workpiece is the ideal for accurate impressions and to use extrusion width multipliers (eg in the first layer). 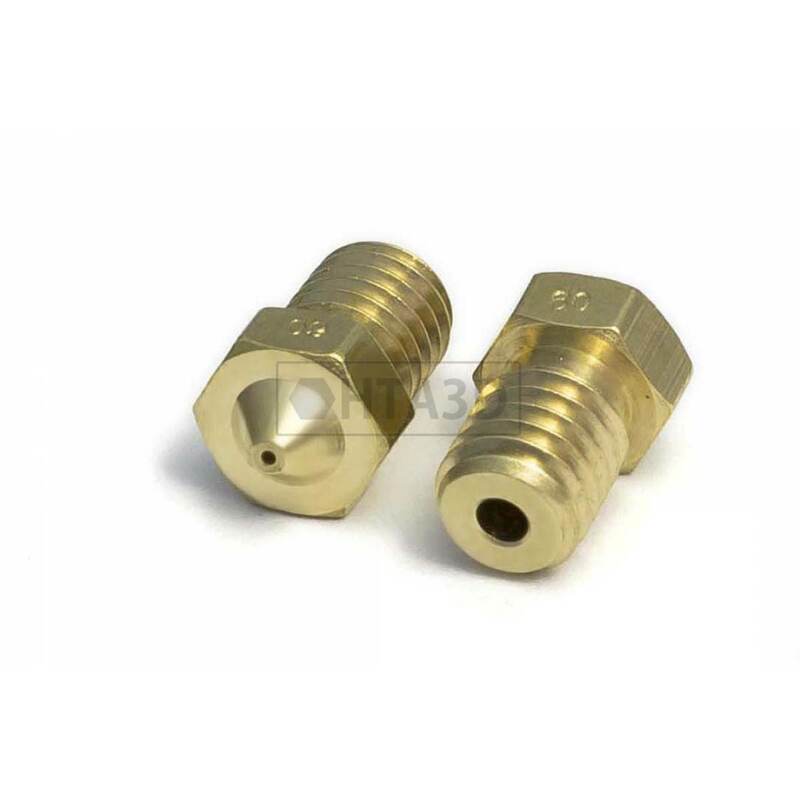 The inside path is optimized to minimize the force required for the extrusion.